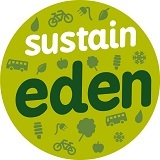 The Tree Whisperer Woodland Project is run by PACT as a partner of the Sustain Eden project coordinated by Cumbria Action for Sustainability and primarily funded by the Big Lottery Communities Living Sustainably fund. The Tree Whisperer project is coming to a close but you can share in some of the work created through the project in exhibitions at St Andrews, Penrith 20th September- 7th October and at the Soup Shop, Devonshire Arcade, Penrith - 20th September – end of October. 'Tree Whisperer' project offers free tree planting for community spaces in Penrith. 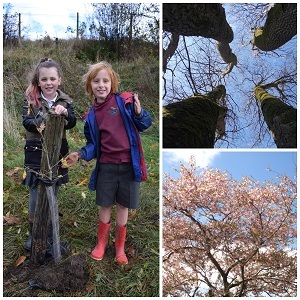 For example, pupils from Shap Endowed CofE Primary School, along with Dave Corrie from Eden Outdoors, planted trees in their school grounds and helped Tree Whisperers to make a film about how to plant trees. The pupils also went on to plant another 60 trees in their community woodland and to learn how to take photographs of trees with the photographer Rob Fraser. 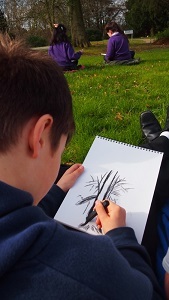 Tree Whisperers is also asking for the help of Eden's pupils to help form a 'creative tree archive' to celebrate our local trees. Selected work will be found on the project website and will be on public display next June. 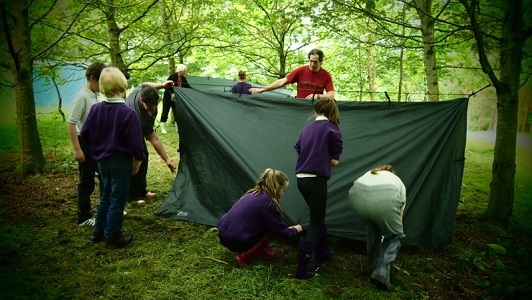 'Our Trees' is running from November to May 2015 and free woodland, creative and archive workshops are on offer to participating schools. More information. 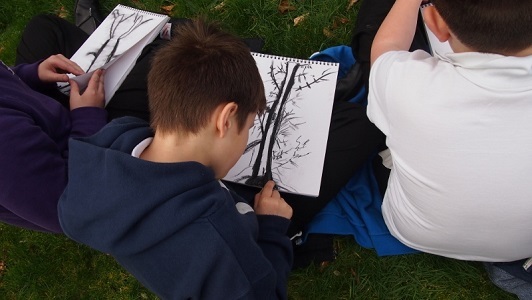 As part of the Tree Whisperers project primary school groups from Eden enjoyed free tree sessions at Carlisle Archives during which they were able to learn about trees and woodlands past and present and the value of wood as a sustainable resource. Pupils were able to look at original documents and maps usually kept in the archive stores. The documents help tell the story of the vital contribution trees have made to Cumbria's past and how Eden's wooded landscapes have evolved over time. 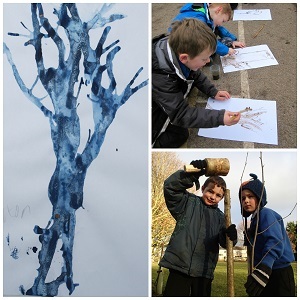 Having learnt about trees during the archive workshops pupils were then able to enjoy sessions in local woodlands alongside woodland practitioners. 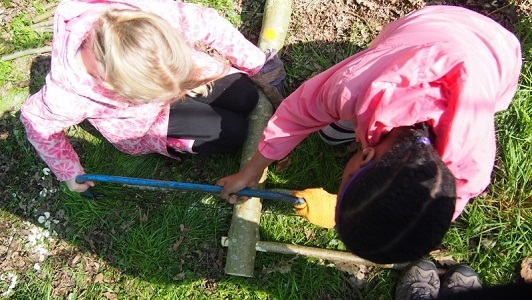 They were able to share with pupils their knowledge and enthusiasm about trees and helped pupils explore, learn and make things in the beautiful woodlands of Eden. Through the workshops children learnt about and shared their thoughts on the importance to the environment of trees and their vital role in trapping the greenhouse gas CO2. The Tree Whisperer project has been working in partnership with Carlisle Archives. 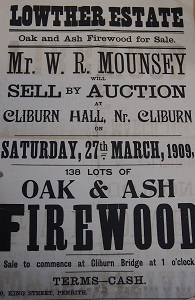 Amongst their records are documents, images and maps which together tell a fascinating story of wood as a vital sustainable resource, an important local economic crop and important feature of a changing local landscape. The project will continue in the next academic year culminating in a month long school and community celebration in Penrith in June 2015.